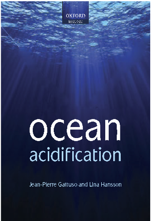 Ocean acidification and Sustainable Development Goal 14: a goal but no target? This paper explores the theme of climate change and the oceans with a focus on the “other” side of climate change: ocean acidification. It is estimated that the acidity of the oceans has increased by about 30 percent since the beginning of the Industrial era and the rate of change is particularly significant in colder Polar waters. Until recently, ocean acidification has received little attention at the international level and the particular threat posed by carbon dioxide (as opposed to other greenhouse gases) to the oceans is not specifically acknowledged within the climate change regime. By contrast, the United Nations General Assembly and other fora, such as the 1992 Convention on Biological Diversity, are increasingly acknowledging the threat posed by ocean acidification to the health of our oceans. Sustainable Development Goal 14, among other objectives, calls upon states to “minimize and address the impacts of ocean acidification, including through enhanced scientific cooperation at all levels” (14.3). Nevertheless, specific action, including targets to limit ocean acidification, have yet to be established by any institution. This chapter examines the interaction between law of the sea institutions and the climate regime in order to assess progress to date and potential for future action on ocean acidification and conclude with a number of proposals for reform. Scott K. N., 2019. 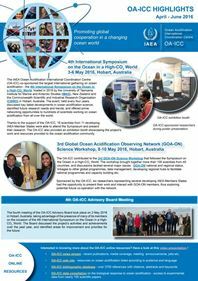 Ocean acidification and Sustainable Development Goal 14: a goal but no target? In: Nordquist M. H., Moore J. N. (Eds. ), The Marine Environment and United Nations Sustainable Development Goal 14, pp 323-341. Koninklijke Brill NV, Leiden. Chapter (restricted access).